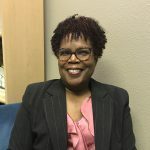 Hortencia has worked in the field of trauma, crisis response, victimology, and child abuse since 2007, where she has served in several capacities including that of victim advocate, crisis counselor, disaster responder, child welfare investigator, trainer, and social worker. Hortencia is also bilingual and provides services to Spanish-speaking families. She works directly with pre-and post adoptive families where she provides support, parent education, and leads a monthly support group. She understands the many sides and complexities of foster care, adoption, and trauma, including the legal and diverse emotional aspects of the process, and desires to walk alongside families to help them through their journeys of healing. She enjoys working with children and families and feels it is a privilege to witness and be a part of their adoption story.